Felix Alberto Farret was born in Santa Maria, RS, Brazil. He received his Bachelor and Master degrees in Electrical Engineering from the Federal University of Santa Maria, in 1972 and 1976, respectively. He was a specialist in electronic instrumentation at Osaka Prefectural Industrial Research Institute, Japan, in 1975. Later, he received his MSc from the University of Manchester, UMIST, England in 1981, and then his PhD in Electrical Engineering from the University of London, Imperial College, England in 1984. He followed a Postdoctoral program in alternative energy sources in the Colorado School of Mines, USA, 2003. He worked as an operation and maintenance engineer at the State Electric Power Company (CEEE), RGS, Brazil in 1973-1974. He was a visiting professor at the Colorado School of Mines in the Division of Engineering, USA in 2002-2003. 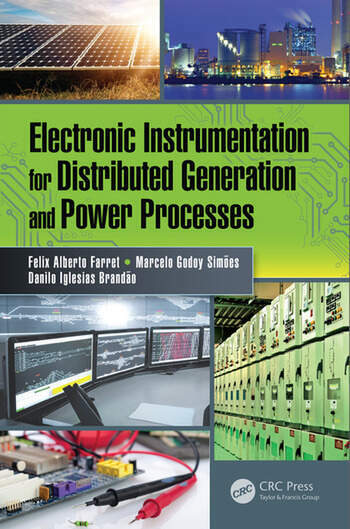 Dr. Farret has published several books on electrical power sources of energy. Currently, he is a Full Professor of Electronic Instrumentation and Small Renewable Sources of Energy in the Department of Electrical Energy Processing, Federal University of Santa Maria, Brazil. His interests are mostly related to industrial applications in integration, sizing and location of alternative power sources for distribution and industrial systems including stacks of fuel cells, hydro generators, wind, photovoltaic, geothermal energy storage applications in batteries and other power converter systems. Marcelo Godoy Simões received a B.Sc. degree from University of São Paulo, Brazil, a M.Sc. degree from University of São Paulo, Brazil, and a Ph.D. degree from The University of Tennessee, USA in 1985, 1990 and 1995 respectively. He received his D.Sc. degree (Livre-Docência) from the University of São Paulo in 1998. Dr. Simões was a US Fulbright Fellow for AY 2014-15, working for Aalborg University, Institute of Energy Technology (Denmark). He has been elevated to the grade of IEEE Fellow, Class of 2016, with the citation: "for applications of artificial intelligence in control of power electronics systems." He is with Colorado School of Mines since 2000, and is currently a Visiting-Professor with Petroleum Institute, in Abu Dhabi (UAE), from January to December of 2016.